Each month #slowchathealth features a book of the month. Sometimes this will be chosen by myself but usually it will be based upon the recommendations of my PLN. Each month the blog post is updated so that the most recent book of the month is featured. As #HealthEd teachers become more confident in their teaching of skills-based health they are looking to tackle new content areas that perhaps they previously felt were too difficult to navigate. When someone recommended Sexploitation to me I immediately located an audio version on Hoopla from my local library PLUS ordered a copy from Amazon. Parents are hoping that teachers are talking about this, and teachers are hoping that parents are. With parents and teachers both avoiding the P-O-R-N conversation, this book aims to develop readers comfort around this topic so that we can give kids the confidence and courage needed to draw boundaries based on their own values not those put upon them. Look out for a book club conversation on twitter coming soon. Free excerpt. The authors pinned tweet on her twitter page is acknowledgement of how strange it feels for her that Educated was chosen by President Obama as one of his books of 2018. This book is shocking, visceral, heartbreaking but ultimately full of hope. Tara Westover was raised by a family that didn’t believe in public school education, and the only world that she knew was that of the local mountains that sheltered her from the outside world. Surrounded by brutality, her ‘education’ was harsh, interspersed with violence and yet she was able to move beyond this world and on to bigger, brighter things. It will be hard to have not noticed how popular this book has become, featuring on nearly every ‘Best Book List of 2018’. I listened to the audiobook and found it a difficult and yet addictive experience. Educated is an inspiring reminder that knowledge is, indeed, power. Book club questions. I chose this book as our first selection of the year because it will guide my #OneWord2019. If you are reading this an you are an educator you MUST download the FREE Calm app, AND then apply for the FREE teacher membership which gives you access to the paid content. It really is an amazing wealth of audio and written content that you can use with your students almost immediately. This book is visually gorgeous, and promises simple tools, tricks, and habits to find tranquility and focus, improve creativity and productivity, achieve better mental and physical health, and ultimately transform your life. Who doesn’t want that in their lives, or want to encourage their students to incorporate these practices into their stressful lives? I will be using the book in conjunction with the app in what I will be referring to as my #YearOfCalm. This book was recommended to me by a few members of my PLN and my awesome school library has ordered it for me. I have taught two transgender students over the past few years and keen to learn more from this story. The author, shares her first-hand account of her raising a transgender child. After they discovered their daughter Ryland was deaf at age one and needed cochlear implants, the Whittingtons spent nearly four years successfully teaching Ryland to speak. But once Ryland gained the power of speech, it was time for them to listen as Ryland insisted, “I am a boy!” And listen they did. After learning that forty-one percent of people who identify as transgender attempt to take their own lives, Hillary and her husband Jeff made it their mission to support their child—no matter what. As my own professional organization has encouraged educators to consider how they are helping those under represented in society, this book should hopefully allow me to greater understand the ways in which I can ensure that my classroom is a safe space for all. Reading guide. A New York Times best-seller, Atomic Habits has so much in it that transfers into the health classroom. The book is packed with evidence-based self-improvement strategies. Clear has spent years honing the art and studying the science of habits, and has created THE guide you need to break bad routines and make good ones. Habits are the compound interest of self-improvement. The same way that money multiplies through compound interest, the effects of your habits multiply as you repeat them. They seem to make little dif­ference on any given day and yet the impact they deliver over the months and years can be enormous. It is only when looking back two, five, or perhaps ten years later that the value of good habits and the cost of bad ones becomes strikingly apparent. No matter your goals, Atomic Habits offers a proven framework for getting 1% better every day, empowering you to master the tiny behaviors that lead to remarkable results. Something different, and highlighted by the #ProjectLit educators on Twitter. A “rare verse novel that is fundamentally poetic..with also a quirky vocabulary element. I enjoyed this book and saw that many of the themes within could be used in #HealthEd class – friends influencing behavior, relationships with siblings and parents, and (without giving too much away) death. This listened to this on audiobook and immediately moved on to ‘Swing‘, another book from the same author. From the co-founder of The Children and Nature Network, the author directly links the lack of nature in the lives of today’s wired generation – he calls it nature deficit – to some of the most disturbing childhood trends, such as rises in obesity, Attention Deficit Disorder and depression. This book resonated with me as a veteran #PhysEd teacher who has seen a change in student attitudes towards play, and being outside, but it resonated with me more as a parent of two young children. As someone who is privileged enough to have access to woods, trails, rivers etc it has made me more determined to ensure that my own kids have an increased opportunity to spend more time outside. Resource guide. Recommended to me by my coworker Jim Davis (who you HAVE to see present at a conference!). You might be aware of Dr. Suzuki’s awesome TED talk on the brain-changing effects of exercise. 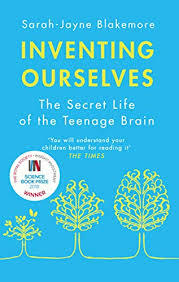 In this book Suzuki makes neuroscience easy to understand, interweaving her personal story with groundbreaking research, and offering practical, short exercises—4 minute Brain Hacks—to engage your mind and improve your memory, your ability to learn new skills, and function more efficiently. Dr. Matthew Walker’s NYT bestseller is a “must-read”. The science of sleep is explained by this world-renowned neuroscientist and sleep expert. Sleep deprivation is likely to be affecting you as much as it is your students and yet we know that sleep can make us healthier, safer, smarter and more productive. This book was the second of the #slowchatbook club reads and I was totally engrossed by it. This book pairs sleep knowledge with strategies to increase sleep, ultimately making us healthier and happier. As a result of reading this book, which was also read by my coworker Andy Horne, we have decided to devote two days of our sophomore health curriculum to the topic of sleep. I promise you – this book will change the way you view sleep! TED presenter Adam Alter has written a “groundbreaking book” that will open your eyes to our obsession with likes, retweets and endless online surfing. This very readable book explains why our tech devices are intentionally irresistible, but importantly shows us how we can harness these addictive products for good. This book was our very first #slowchatbook club read and the author even joined in the conversation with us! If you value the health and happiness of your family and students you will want to read this book. Close your eyes and imagine your dream vacation. Is water present? Perhaps you are taking a romantic walk on the beach, or are sailing near a Caribbean island. Or are you on the slopes, skiing in Europe. Maybe you even have photographs at home of you and loved ones with water in the image – many of life’s romantic moments take place by water. I have blogged about how I’ve taken some of the authors theory and used it with my students in conjunction with stress management. This great text from #HealthEdHeroes of mine offers “strategies for designing lessons, plus teacher-tested and ready to use unit outlines, assessments, lesson plans, and learning activities” and this book doesn’t disappoint. Holly and Sarah are well connected; you’ve probably seen them at a conference, perhaps even been fortunate to be in one of their longer professional development offerings. As such, they were able to connect with health educators in the field, including many SHAPE America Teacher of the Year honorees to gather engaging examples of health lessons, assessments and projects that have proven to be a success. I was recently asked in a podcast to name any book that I often recommend to others. THIS was the book that I mentioned. If you are interested in what others are reading, I have been collating book recommendations from my PLN in a twitter moment entitled #summerreads. You will find so much inspiration within. I also blogged about my own #summerreads list here. I’m reading about Blue Zones now, I have been embedding this into my classroom for the last 4 years. Ryan, that’s a great suggestion. I know there a few educators who teach health through the ‘Blue Zone’ concept. I will definitely add to the consideration list for January 2019!